If you’re like most business owners – particularly those in retail – you’ve heard of 3PL companies. 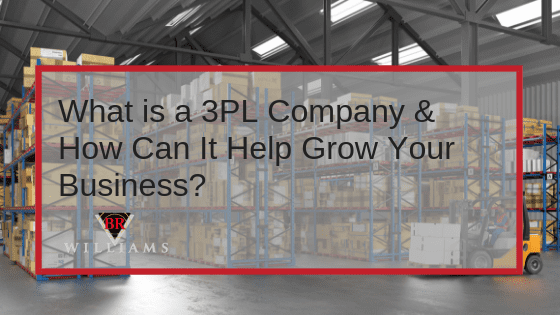 But what is a 3PL company, and how can it help you reach your goals? What’s a Third-Party Logistics (3PL) Company? Third-party logistics, commonly referred to as 3PL, is a vital component in supply chain management. It enables business owners to outsource distribution and fulfillment services, either completely or in part. For most business owners, it’s a tremendous relief – and it enables them to focus on growing the business rather than sucking them into time-consuming details. Third-party logistics are fairly new. In the not-so-distant past, retailers would connect directly with consumers. They’d have to sort out the logistics on their own, which was inconvenient on both ends. The retailer had to warehouse the goods, arrange for shipping and deal with customer issues. But in the 1970s, 3PL companies started stepping in to streamline these retailers’ processes. With a logistics company to handle warehousing, fulfillment, shipping, and transportation, retailers were suddenly able to give customers better experiences. And when customers have better experiences, they shop more. 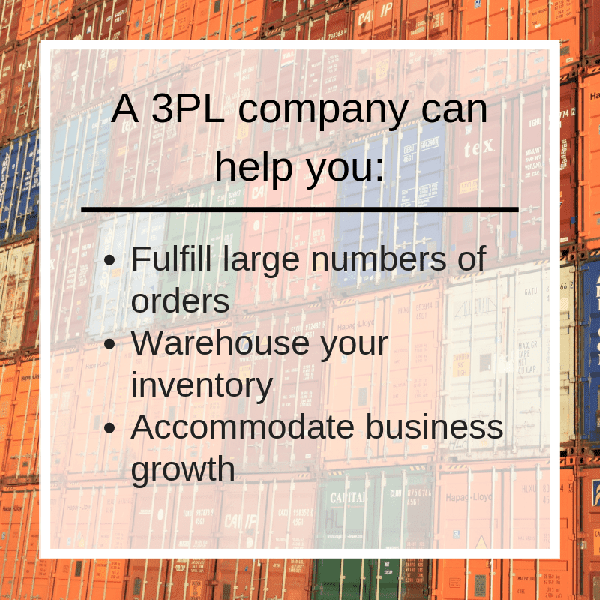 How Do You Know if You Need a 3PL Company? Most experts agree that if you’re fulfilling more than a handful of orders a day – provided that you can afford a small increase in your current shipping expenses, or that your shoppers can cover for it – it’s worth investing in a partnership with a 3PL company. You’ll have more time to focus on the other important aspects of your business without worrying about your customers’ experiences. Storage is expensive – and it can take up far more room than you have, particularly when you’re enjoying a healthy boom in orders. Some 3PLs can warehouse your products for a fraction of what you’re spending now, which can also help you free up space for workers, research and development, and on-site shopping. Logistics includes streamlining processes that you may not have down to a science. For most business owners, inventory tracking is a big challenge – and it’s a tremendous financial drain. The right 3PL company can track your inventory, schedule pickups, and deliveries, and provide you with status notifications and exception reporting on-demand. All this frees you from the burden of employing an entire logistics department (or worse: doing it all yourself) so you can focus on business growth. 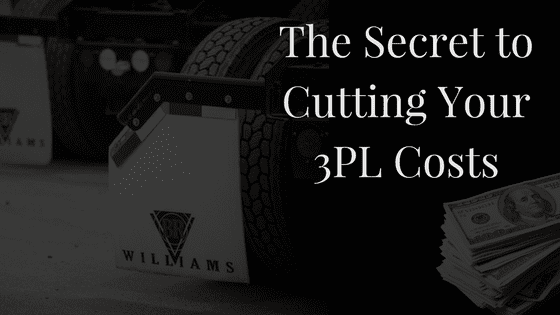 3PL is often the most logical solution when you’re dealing with global fulfillment, too, because of the special rules and mountains of paperwork involved in overseas sales and shipping. For most business owners, working with a 3PL company is vital to the growth and maximizing profits. 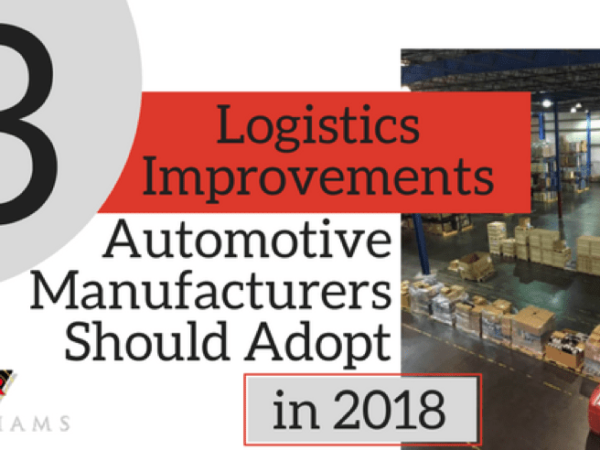 Using a third-party logistics company to tackle big issues like warehousing, order fulfillment, shipping and customer receipt can make a tremendous difference in your bottom line. With humble beginnings back in 1958, BR Williams has grown into an award-winning supply chain management company servicing all 48 contiguous states and Canada. With facilities in Mobile AL; Piedmont, AL; Tallahassee, FL; Anniston, AL (two facilities); Eastaboga, AL; and Oxford, AL, B.R. Williams’ distribution network supports over 50 customers and another 2,500 in the Trucking and Logistics divisions. Industries served include the following: automotive, defense, home improvement, education, food raw materials, textiles, chemical, industrial packaging, metals (finished goods), highway safety and more. Supply chain management is the coordination of all processes involved in the flow of goods from their raw materials to the end users. Through effective electronic communications and transparency, every “link” in the chain can anticipate the demand requirements of the next level and plan for fulfilling each need in the shortest possible time. 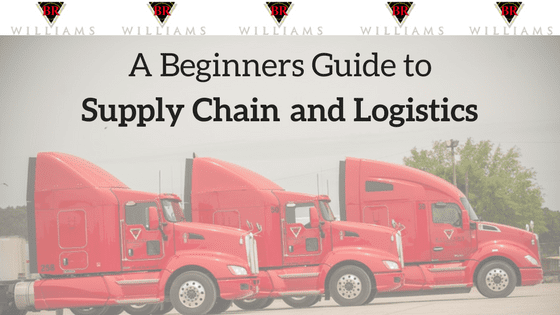 Logistics is the glue that combines each element of the supply chain. Logistics determines how and when goods are produced, transported, stored, and delivered at each level. Logistics elements include production, freight management, warehousing, and distribution.